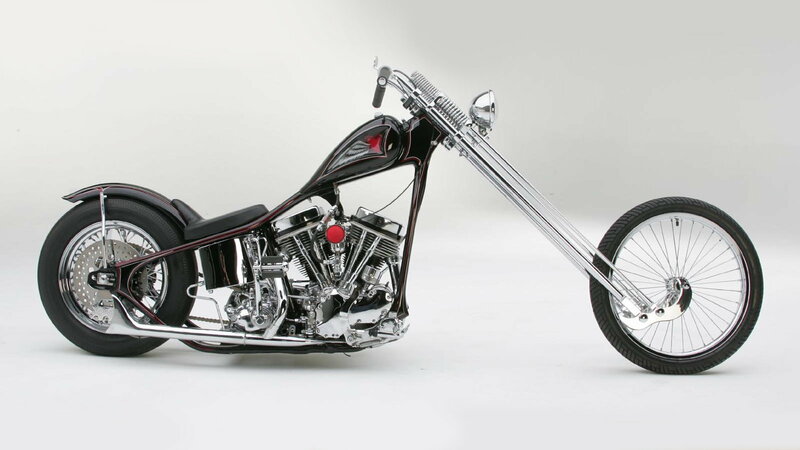 Daily Slideshow: This throwback build is a rolling time capsule of chopper perfection. One of the Best Chopper ever built, ever, period, end of sentence. I had the pleasure of seeing this bike, and the man himself, at a Michael Lichter show in Rapid City, 2003 during Sturgis Bike Week. Other builders at the show included Indian Larry and Billy Lane, Hank Young etc!!!! This bike stole the show all day long. As good as it looks in pictures, way better in person. Just an amazing bike. I think it's pretty sharp. Would love to own it. Ditto! Love that bike. Trade my wife for it! So does that mean it's worthless too? Pretty Sweet to me , I'd make room in my shop for it , if I could afford it . I remember seeing an episode on Count's Kustoms with Suger Bear . Love that show ! It's what we used to call a "proper chopper."